Did you know that you can save money and be eco-friendly at the same time? People nowadays are more focused on chasing their dreams at the same time wanting to live their lives, whilst that is a great way to spend your life but you really can’t help but notice the elephant in the room, which is where you want to stop chasing something in front of you ̶ whether big or small ̶ and actually start to live your life with those around you. Time will come when you’re on the edge of the earth staring into the beautiful sunset and wish you could spend it with someone dear to you, a family perhaps. Settling down is somehow a red flag for a millennial because most of them are wanderlusters. Heck, even I’m a wanderluster. They want to move their feet and let the stars be their guide, being stagnant is a hiccup for mos, but for this generation, being stagnant is like being in a rock bottom. Though settling down doesn’t mean you’d have to stop moving. I just bought a house and I’m still on the move. Of course, settling down means you’d have to have a place of your own, though many of you would be thinking that it’s much better to rent an apartment actually planting your roots on your own soil would really pay off in the long run. A very nice thought needed considering is building an eco-friendly house. It isn’t a surprise to anyone that today’s generation is much more concerned about the current events ̶ such as politics, climate, pollution, and many more. It’s better that you build yourself something that won’t cause you, or anybody around you, trouble. 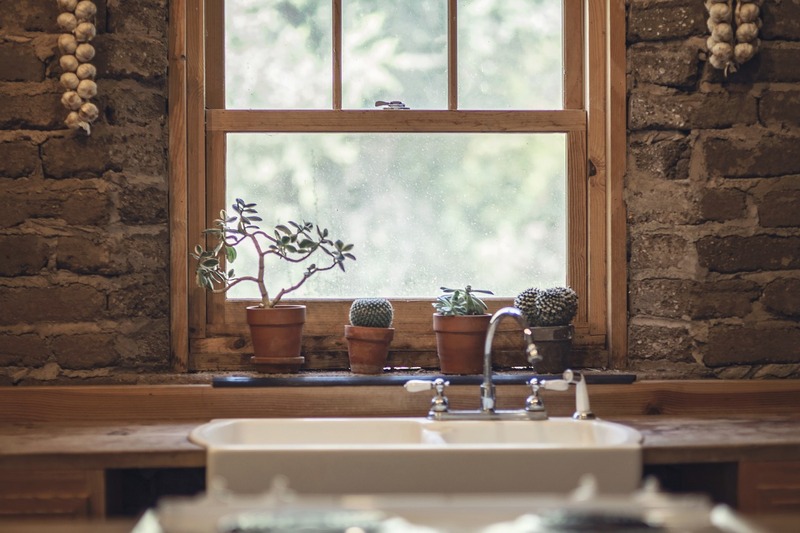 Having an eco-friendly house won’t just say that you care for the environment, it also shows that you want to save on common expenses such as electrical and water bills. One of the best ways to save money is shade! As much as possible don’t cut any existing trees around your lot, better yet use it as a shade to keep your house cool and giving you that close-to-nature kind of bliss. Also, cutting trees spends more time and money, just leave it be. Eco-friendly living involves moving furniture. Orient your house the correct way. In this case, you’d need an expert to help you figure out the best orientation that could trim your electrical bills down by simply facing active areas in your house such as the living room, the library, and many more, to the sunlight and putting angled windows to allow the natural lighting to bounce around your humble abode. Also, a good way to ventilate it. The best way to cut your water bills to half is having your own rainwater tank to harvest mother nature’s rainwater for your own personal necessities inside your house, and trust me, your home needs a rainwater tank, here’s why. Rainwater harvesting has come a long way for just being able to collect rainwater, but also how to cleanse it and put it to good use rather than just use it for cleaning out garages or bathrooms or any other areas in your house. It is also a much better alternative in flushing down toilets, doing your laundry, and for drinking. Having a rainwater tank, most especially in areas that are rich in precipitation, is useful and an investment that’ll pay off in the long run. One best thing about settling down in an eco-friendly house is that you wake up to birds singing good morning, breeze caressing your skin, fresh air to breathe in, and a great sunrise glancing through the mountains as if it were to wish you a great day ahead. Also, it’s really nice to save money. Sometimes, it’s better to settle down, appreciate everything around you in this fast-paced era, than to keep on moving unsatisfied by the things you thought you needed.